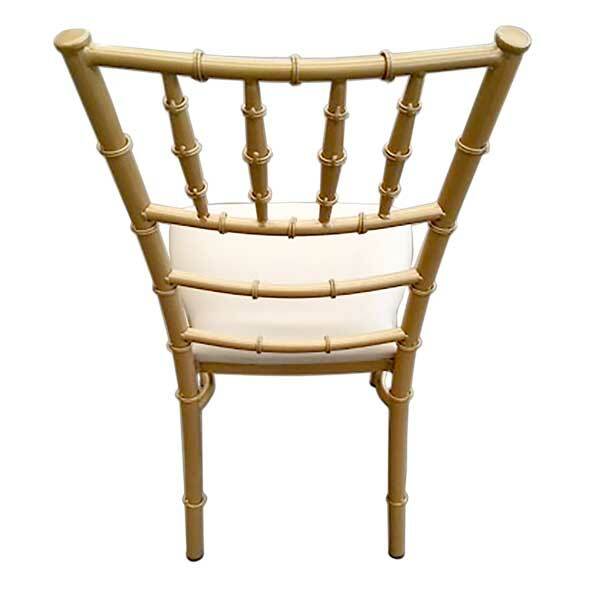 Chiavari courtyard wedding stackable side chair, with padded seat. Steel construction. Powder Coat: Any RAL or Metallic Powder Coat.